October is Family History Month. 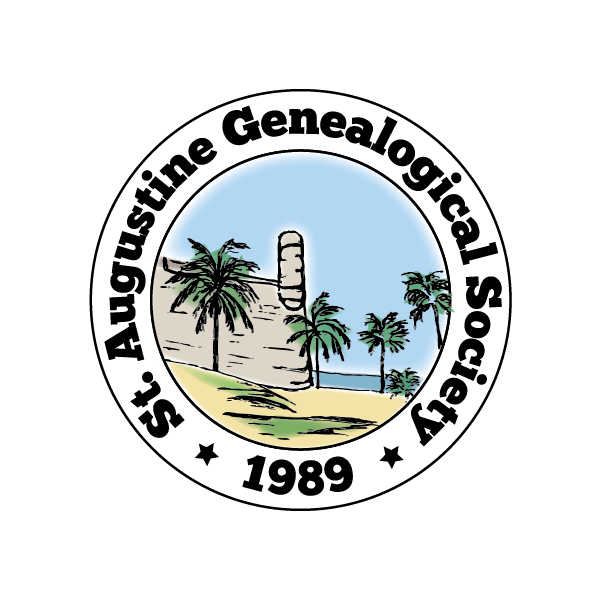 The St. Augustine Genealogical Society is celebrating with a family history faire. Members of the genealogical society will be showcasing their research, family heirlooms and artifacts. SAGS has also invited local-area authors who have written their own family history books, as well as local societies that can aid you in your research. Noted Ormond Beach author, Meredith Wayne Price, who wrote “Gretel’s Cross” and other genealogy related authors will be displaying their books and artifacts. Organizations, such as the Daughters of the American Revolution will also be on-hand to tell you about their organization and how to become a member. Please join us to get ideas and tips on how to conduct your own family ancestry campaign.